New calls for unilateral withdrawal are both pernicious—because of the calamitous consequences it will precipitate—and puerile—because of the naïve hope that it will not. -Dan Schueftan, then one of the principle advocates for the 2005 unilateral evacuation from Gaza, predicting it would be only a first step in a “wider historical process” of further unilateral Israeli withdrawals, The Jerusalem Report, September 2005. 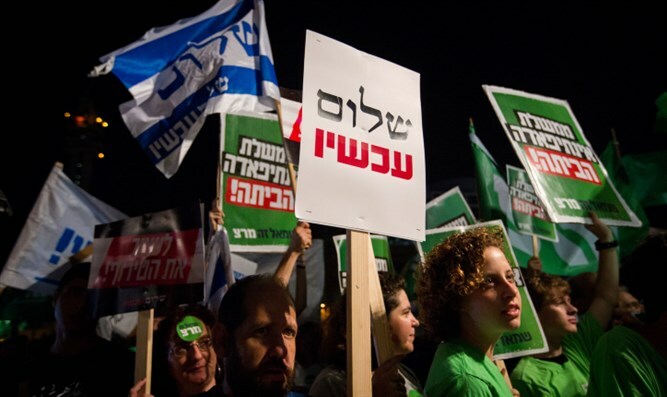 The proposal for (re)adoption of unilateral withdrawal—this time from Judea-Samaria—began to emerge in the public discourse over four years ago. Since then, I have warned, insistently and incessantly, of the glaring defects in the rationale of this resurgent recipe for foretold failure– see: The coming canard: ‘Constructive unilateralism’; Stupendously stupid or surreptitiously sinister; Infuriating, insidious, immoral; Imbecility squared – Part 1; Imbecility squared- Part 2; Generals, gimmicks and gobbledygook. Yet despite its clearly discernible flaws, which virtually ensure disaster if it were to be (re)adopted, this ill-conceived idea not only remains stubbornly on the national agenda, but—almost inconceivably—is gaining increasing support from an alarming number of well-funded organizations and influential individuals. It is, in many ways, the flagship project of the well-endowed Institute for National Security Studies (INSS). It is also championed by what is effectively INSS’s public advocacy arm, Blue and White Future. Likewise, it is endorsed by Commanders for Israel Security (CIS) an organization reportedly comprising over 200 former high-ranking officers in the IDF, intelligence services and police. populations” comes from none other than the Director of the National Security Studies Center, University of Haifa, Dr. Dan Schueftan. Although I shall have decidedly harsh criticism of Schueftan’s policy prescriptions, I should like to make it clear: This is not an ad hominem attack on the author, but a resolute repudiation of his ideas. I have been acquainted with Schueftan for years, and have found him to be a very affable individual, a learned scholar and a gifted—albeit not always the most genteel—orator. However, as someone who holds a prestigious position in academe and is responsible for molding the strategic perspective of a large number of students, the doctrines he expounds cannot go un-scrutinized, and, if found defective, unchallenged. The fact that he may genuinely believe that what he is proposing is in the national interest should not shield him from censure if it can be plausibly demonstrated that it will precipitate precisely the opposite. All the proposals of the various proponents of renewed unilateral withdrawal embrace the same principle--with only shades of nuance differentiating between them. This involves Israel’s forswearing all sovereign claims to any territory beyond a line that approximates the route of the current security barrier and acting to remove Israeli civilian presence from this territory. In light of the disastrous results similar measures produced in Gaza, “neo-unilateralists” attempt to assuage public concern by stipulating that the IDF will remain deployed in the areas over which Israel eschews sovereignty. Thus, CIS proposes that IDF deployment will continue until the emergence of “a permanent status agreement with the Palestinians [which] ushers in alternative concrete, sustainable security arrangements.” Closely mirroring this idea, Schueftan, peppering his concessionary prescription with machoistic rhetoric, suggests: “…the mainstream majority can be expected to consider a unilateral move positively if they know that the IDF will remain in overall charge of security, unless a dependable Arab army replaces it, if and when Israel sees fit”. Inevitably, the proposal for ongoing deployment of the Israeli military in territory over which Israel makes no sovereign claims would, in a stroke, convert Judea-Samaria from “disputed territory” to “occupied territory” and the IDF from a “defense force” to an “occupying force”. Worse, it would do so by explicit admission from Israel itself! Moreover, by conditioning the end of IDF deployment on the emergence of “alternative concrete, sustainable security arrangements” or in Schueftan’s words, leaving the IDF in overall charge of security, unless a dependable Arab army replaces it, if and when Israel sees fit”, the neo-unilateralists are, in fact, promoting a formula for open-ended occupation, whose duration is totally dependent on the Palestinian-Arabs. After all, if the IDF is to remain deployed in the “West Bank” until some “dependable” Palestinian counterpart appears, sufficiently pliant to satisfy Israel’s demands, but sufficiently robust to resist more radical domestic rivals that oppose those demands, what happens if such a counterpart fails to emerge? Clearly then, all the Palestinian-Arabs need to do to ensnare the IDF in what will inevitably become an increasingly unpopular “occupation”, making it an easy target for guerilla attacks by a recalcitrant population, backed by armed Palestinian internal security services, is…well, nothing. All they need to do is wait until mounting IDF casualties in a “foreign land” create increasing domestic pressure to “bring our boys back home” (see Lebanon 2000), and mounting international impatience with unending “occupation” create growing external pressure, which will make continued IDF )deployment untenable. Withdrawal will then become inevitable, without any “permanent settlement” or “sustainable security arrangements”. Schueftan is caustically critical of Palestinian society in Judea-Samaria, characterizing it as “a profoundly irresponsible society [with] elites who are unwilling to engage in constructive nation-building [who] prefer to glorify and finance terrorists and perpetuate narratives of unlimited grievance vis-à-vis the Jewish state”. So even in the unlikely event that some Palestinian-Arab partner could be located, who would, in good faith, agree to conclude a permanent status agreement and implement acceptable security arrangements allowing the IDF to evacuate Judea-Samaria, how could Israel ensure this agreement will be honored and these arrangements maintained over time? Once the IDF withdraws, Israel has no way of preventing its Palestinian co-signatories from reneging on their commitments—whether of their own volition, due to a change of heart, or under duress from extremist adversaries. Even more to the point, barring intimate involvement in intra-Palestinian politics, Israel has no way to ensure that their pliant partner will not be replaced—whether by bullet or ballot—by far more inimical successors, probably generously supported by foreign regimes, who repudiate their predecessors’ pledges. Indeed, it is more than likely that it would be precisely the “perfidious” deal struck with the “nefarious Zionist entity” that would be invoked as justification for the regime-change. What is the neo-unilateralist’s “Plan B”? Accordingly, no matter which of these outcomes—a change of heart or a change of regime—emerges in practice, Israel is likely to be confronted with a situation where it no longer has security control in Judea-Samaria and a hostile regime perched on the hills dominating the coastal megalopolis—overlooking its only international airport, adjacent to its major population centers and abutting principal transportation axes. It would be intriguing to learn what neo-unilateralists, such as Schueftan, propose as their “Plan B”, should the realities precipitated in the South following unilateral withdrawal, emerge along Israel’s eastern border. Clearly anything approaching those realities on the fringes of Greater Tel Aviv would make the maintenance of any socio-economic routine impossible—since it could be disrupted at will by hostile forces, renegade or regular, deployed on the commanding highlands evacuated by the IDF. So how would Schueftan and his fellow neo-unilateralists recommend responding? A massive punitive attack along a 500 km front, with difficult terrain and inevitable “collateral damage”, likely to dwarf anything incurred in previous campaigns such as “Protective Edge”? And to what end? To withdraw once again behind the security barrier? Or to withdraw and repeat the same “experiment”, hoping for more fortuitous results next time? Or the time after that? Of course, the basic elements of the new unilateralism— forswearing of claims to sovereignty over Judea-Samaria, on the one hand; and continued deployment of the IDF in that territory, on the other—replicate precisely the same conditions that prevailed in South Lebanon until the IDF’s hasty retreat in 2000. Clearly, under these conditions, any hope that the conflict can be officially resolved with some negotiated final-status agreement is hopelessly detached from reality. After all, why should the Palestinians offer any quid pro quo to negotiate the withdrawal of the IDF when Israel has a-priori conceded sovereignty to them and ceased all civilian construction, condemning the settlements to inevitable decay and disintegration? Moreover, what would be the justification for continued IDF deployment in the sovereign territory of others—especially as that deployment itself is likely to be cited as the major grievance sustaining the belligerency between the sides? 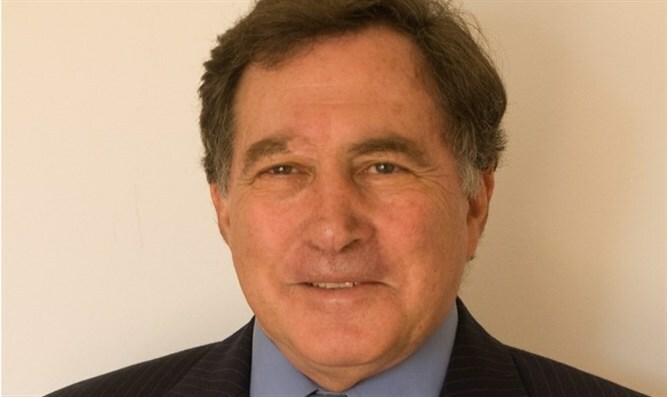 Accordingly, proposals for deploying the IDF for an indeterminate period, in territory over which it lays no sovereign claim—and hence, by implication, acknowledges that others have such claims to it—will create an unsustainable political configuration, which, sooner or later, will generate irresistible pressure on Israel to withdraw—just as it did in Lebanon—leaving the country exposed to the very dangers the IDF deployment was intended to obviate. His answer, in a nutshell , is that it will, allegedly, free Israel from the burden of “dominating and caring for them [the Palestinian-Arabs] for over half a century” which is precisely what we were told about unilateral disengagement from Gaza –which is still, a decade later, critically dependent on Israel for a wide range of goods and services. In February 2004, prior to the Gaza Disengagement, Schueftan, gave an interview to “New York Magazine”, where he was billed as “the highly regarded Israeli analyst and academic whose concept of unilateral disengagement now dominates debate in Israel”. In it he proclaimed: "The Israeli public wants to be completely cut off from the Palestinians, and as a result nobody can be prime minister without going in this direction. It’s not even an option if they want to stay in power."